Refresher: I planted potatoes and onions February 28th. The onions started showing up within a week or two. The potatoes started appearing a couple of weeks ago. This is a photo of one of the plants. I'm calling it a white potato because I have forgotten exactly what kind of potato it is. 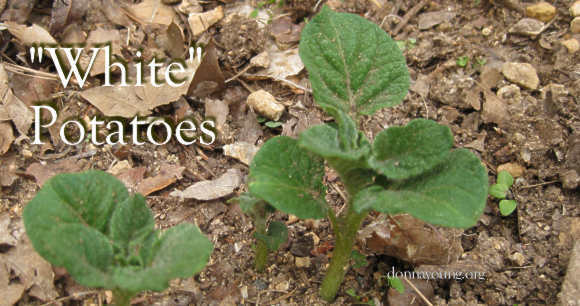 I think it is a russet potato, no matter, it's still a white potato.